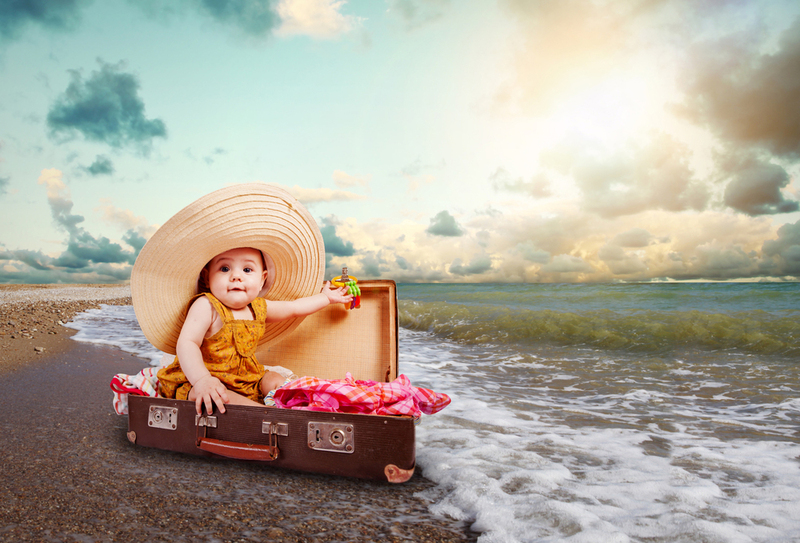 Ideally, you want to minimize your hand luggage when you come to the Riviera Maya with your baby, so as not to have too much to wear and respect the constraints of size and weight imposed by the airlines. Unfortunately, you will not have access to your main baggage during the flight as they will be in the hold. We must optimize and forget anything important to the risk that the ten hour flight becomes a nightmare. Travel documents for each member. Multiple spares for your baby. Diapers – enough for the flight and to cover you in case of loss of your main baggage, which happens more often than you think. Wipes, diaper cream and hand sanitizer gel. Water if your baby drinks a particular water (low mineralization), there will not necessarily be all the marks on board. First aid and baby’s medications. His toy and his favorite blanket to keep his markers.Special note on infant formula and breast milk. It is preferable (and easier) to bring powder preparation and to request hot water for the crew to mix. You should know that breast milk is accepted on board, even more than 100ml. Also, I personally emphasize the importance of entertaining your baby / child during the flight. This will save you a lot of grief and glare from other travelers.